Infantile metastatic choriocarcinoma is a rare tumor of placental origin that can be observed with or without maternal metastases. A single cutaneous mass may be the only clinically observed sign. Reports of imaging findings are scarce given the extreme rarity of the tumor, and the disease can be rapidly fatal in the absence of prompt diagnosis. In order to promote timely consideration for this malignancy as a differential consideration in the approach to skin lesions in infancy, we present the findings of this neoplasm in an infant. 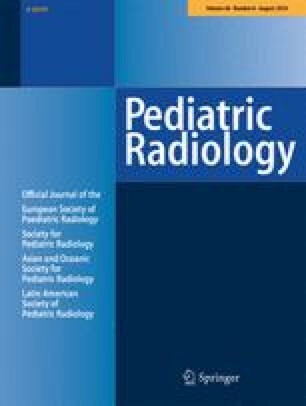 While imaging and clinical characteristics similar to infantile hemangioma were demonstrated at presentation, biopsy and further radiologic investigation revealed multifocal metastatic choriocarcinoma. This case also highlights important differences between these entities, as the T2 hyperintensity and contrast enhancement observed with this choriocarcinoma were predominantly peripheral in location. 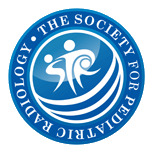 This case was awarded the Caffey Award for Best Case Report at the Society for Pediatric Radiology 2017 meeting in Vancouver, British Columbia. The authors would like to thank Pooja Hingorani from the Department of Hematology and Oncology at Phoenix Children's Hospital, Kimberly A. Eisenstein from the Department of Pediatric Dermatology at Phoenix Children's Hospital and Kenneth S. Taylor from the Department of Pathology at Phoenix Children's Hospital for clinical input and graphical contributions.